03 Dec How much does a private investigator cost? How much does a private investigator cost? Well, that is a good question. Private investigation in Australia is a fairly small industry sector, although it is a competitive one. There are a number of single operators appearing to be larger than they actually are, and a few rogue and unscrupulous operators as well. All private investigators need to be licensed in their relative states and this can confirmed easily – ask for their licence details and check with the particular authorities in your state. So what is the cost …….. there are a number of different services we offer and each product can vary in cost depending on the number of hours, and expertise required. And to make things more unknown, most investigations don’t come with a fixed charge because we don’t know how long it will take to get the answers required……. think about it logically – it makes total sense. For example, many investigations today are solved by carrying out visual surveillance (following the subject) because this is one of the few legal directions we now have. Surveillance is costed at an hourly rate – not ‘per investigation’. It is just a time based exercise until the results come your way, although some clients do have an exact timeframe that they need a private detective so they can work out exactly what it will cost. Surveillance is charged at an hourly rate of $125 per operative required on the job. Some jobs require two and even more operatives and the costs rise accordingly. It is difficult to predict the typical outlay for a surveillance assignment but we would suggest somewhere in the vicinity of $1500 and $3000 would be quite normal. Many assignments come in at a lesser charge, and plenty go over this average as well. We have resolved problems for as little as $500, and some clients have spent well into the hundreds of thousands of dollars. If more of a factual investigation is required, we may send a field operative out into the word asking questions of people, canvassing for witnesses, interviewing connected persons etc. All field work that isn’t surveillance comes in at the higher hourly rate of $165. And then there is everything else that we do as licensed private investigators. From background checks, to general database inquiries, to missing persons, to computer and mobile phone forensics, electronic bug sweeps …….. the list is continual. In these situations we really have to have a conversation about the circumstances of the problem and then we can work out how much it may cost to investigate the issue at hand. You may be agreeably surprised that many investigations may be less expensive than you would have imagined. Give us a call and we are only too happy to advise further. That’s what we do. Hey, i’d like to know your prices for an investigation about my girlfriend. I’m back in France and she is in Sydney for 1 or 2 months more, please let me know if an interview is possible asap. Surveillance based investigations are just charged at an hourly rate of $125. This is all inclusive of taxes, mileage, travel time, regular updates and photographs. It is up to you to give us an idea of her routine, and the times and days you would like her watched. Feel free to call us at any time on +61 411 853 111 but we do find that jobs originating from Europe it can be difficult to talk. Email would be best at enquiries@integralinvestigations.com.au and we can sort this assignment out for you. Situation is that I need to prove that I was in a relationship with a person, now deceased. 1. text messages sent to & from my phone, need all transcripts. Check Optus & I had an old mobile number with Telstra. Don’t remember number but they have my old account number. 2. Facebook photos, although the deceased’s Facebook profile has been memorialised. There are definitely photos of me there. 3. Statutory declaration from father (who had knowledge of our relationship) who is somewhere in Thailand. He’s been there for years. Need hard copy evidence and need facts please. Also need to know how fast you can get evidence how much you charge per hour? Hope to hear from you soon as need to know how much it will cost before any investigation commences, please. You have a number of different investigations required here and we have limited ways we can assist, especially with the phone. To start with, the phone companies don’t keep transcripts of everyone’s text messages so we can’t just go to Optus or Telstra and access this information. The only place the information will be will be on the two phones involved in the messaging – so yours and his. If you still have the handset you conversed with him on we should be able to retrieve all of the conversations by carrying out a forensic telephone extraction. Please read this blog article for more information on this technique. https://integralinvestigations.com.au/uncategorized/delete-phone-forensics-can-help/ If you don’t have the handset we could possibly apply to the phone companies on your behalf for old bills etc but it certainly wont have the content of the messages. We may be able to access some information from the old Facebook account, but the amount of information available is unknown. Memorialised accounts are difficult to get information from. We charge $330 per hour for computer research such as this and the number of hours to go through this is unknown, but I would suggest it wouldn’t be too many – and if we couldn’t get anything then it wouldn’t take more than an hour. The third job, locating a person in Thailand is impossible to price at this stage. I do have an agent in Thailand and access to information there is easier because money buys pretty much anything. We could start the process of locating the father which and if we do find him we could certainly organise a statement assuming he was willing to give one of course. The cost for this exercise would be in the thousands though, not hundreds – and the further away he is from the min cities the more costly it would be. As far as timeframe is concerned we can get started on all directions almost straight away. The phone forensics can be done within a week; and the Facebook research wouldn’t take too long at all unless we got a really good connection. The lengthiest investigation would be locating a person in Thailand and I wouldn’t like to give you any timeframe on that at this time without talking to my guy over there. Overall, your cost would be no less than $5000, and getting the information you want can’t be guaranteed. But we are more than happy to put the time and expertise in for you if required. The cost is pretty straightforward. To locate a person we charge an upfront fee of $400 to take the job on. This amount is not refundable. If we can’t locate the person there is nothing further to pay and our costs have been covered by the $400. If we do find an address then we charge an additional $400 as a ‘success fee’ and then give you the details. We get about 8 out of 10 for this costing scenario. Sometimes the direction of investigation can change and we have to talk about options and other potential costs but this is unusual. Time frame is normally one to two weeks although there are times when it is quicker, and times when it is longer. Most infidelity based private investigations are charged at an hourly rate of $125. This includes GST, travel time, mileage, pictures and regular updates. There are no hidden charges at the end. We will need more information from you to work out whether the investigation will be surveillance based, or whether we can do some research around the website. 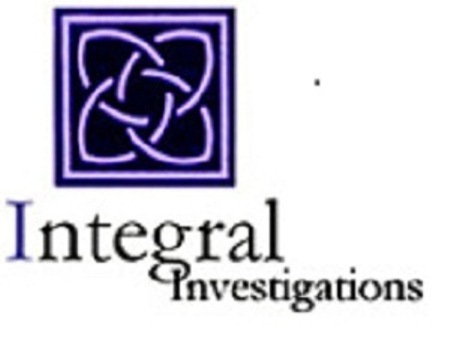 If you would like to contact our Sydney office directly on 02 9460 4988 or email us at enquiries@integralinvestigations.com.au we’ll be able to advise further.